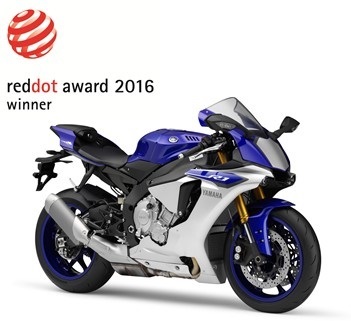 Yamaha Motor Receives Globally-prestigious “Red Dot Award” for Fifth Year Running, — YZF-R1 Also Received Good Design Award and iF Design Award — - News Releases | Yamaha Motor Co., Ltd.
IWATA, March 30, 2016—Yamaha Motor Co., Ltd. (Tokyo: 7272) announced today that its supersport model, the YZF-R1, has received the internationally-renowned Red Dot Award: Product Design 2016. In addition, the 242 Limited S sports boat, entered for the same prize, received an honorable mention. This honor marks the fifth consecutive year (beginning in 2012) that Yamaha Motor products have received this award. The Red Dot Award is the third design prize received by the YZF-R1 (2015 overseas model), following on from the Good Design Award 2015 and the iF Design Award 2016. The supersport YZF-R1 model was developed to allow riders to experience the technical concepts of a MotoGP YZR-M1 machine and comes equipped with the potential for circuit-level top speed. The design, in addition to projecting the image of a YZR-M1, is a new innovation of the “Speed Racer” concept and has built a new strand of R-DNA. 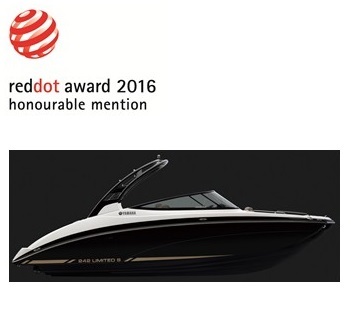 Another Yamaha Motor product recognized at the Red Dot Awards was the 242 Limited S, a sports boat which features dominant speed and acceleration performance. The interior exudes a quality feel through careful attention paid to the carpets, seats, and steering etc. to create a luxurious, comfortable space. The 242 Limited S features a joystick-operated multi-function color LCD display. An adjustable keel, which increases maneuverability and directional stability when traveling in a straight line, is also a feature. The Red Dot Awards, organized by Germany's Design Zentrum Nordrhein Westfalen, are widely recognized as one of the most prestigious design awards in the world. Products with designs of outstanding quality are selected annually in three categories, being Product Design, Communication Design, and Design Concept.